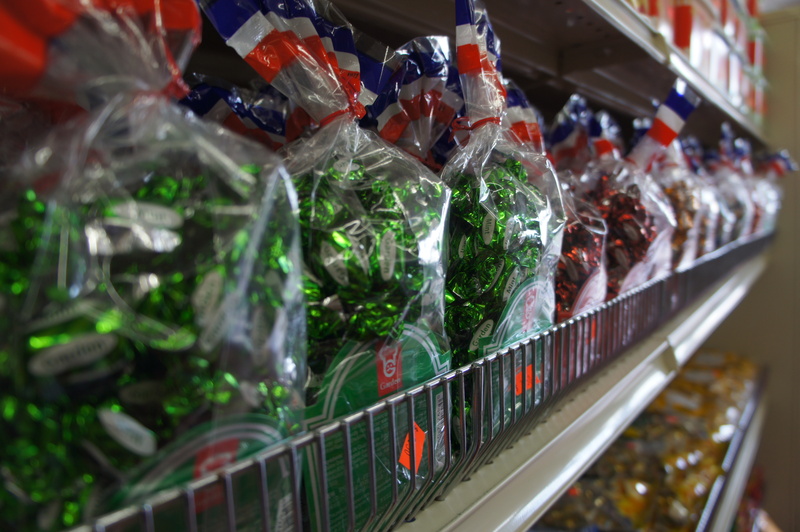 Freeport Market: Old World Meets New | AYAH! If you’ve ever cruised Freeport Blvd. 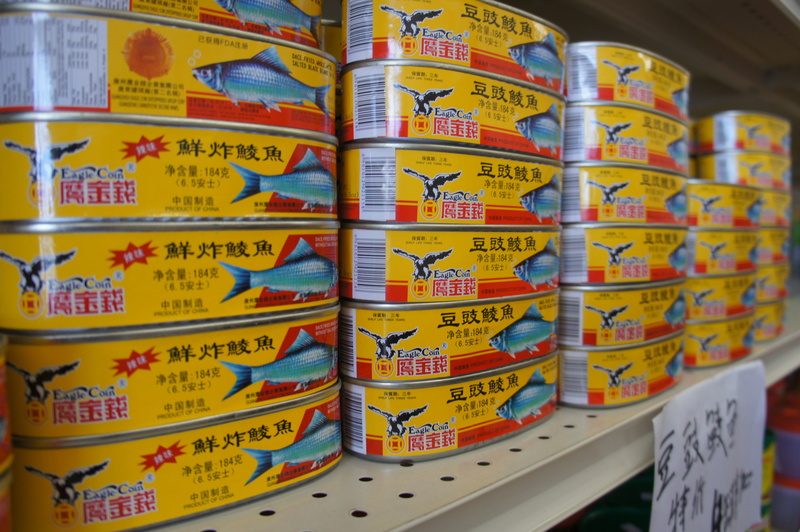 in Sacramento, you may know the staples like the Japanese market Oto’s, the Japanese bakery Mahoroba, or even the swath of delectable Chinese restaurants; Hong Kong Wok, Far East Cafe and Blue Moon Cafe. Now a new addition to Freeport Blvd., and from the looks of it, they’ll fit right in. 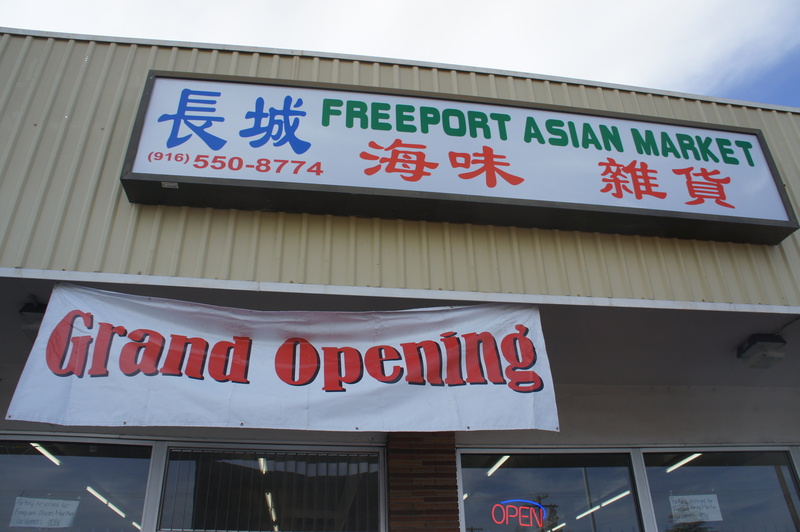 Freeport Asian Market is nestled in the shopping center anchored by Awesome Video. 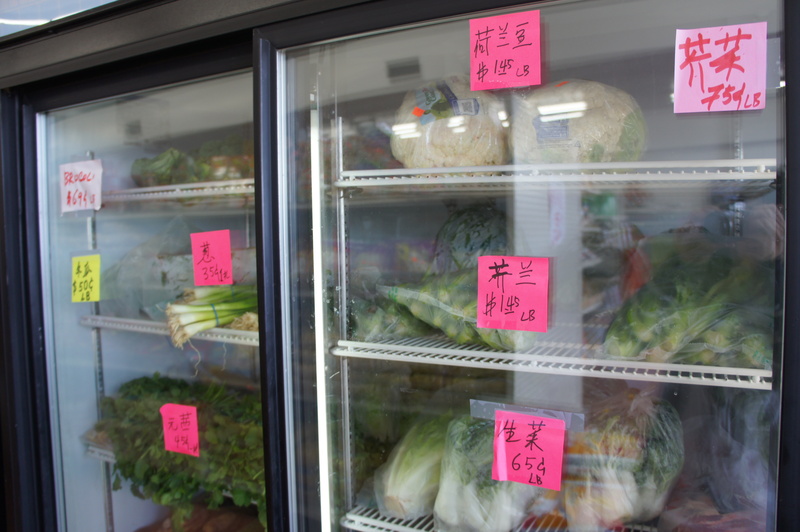 The market just opened in January and specializes in dry goods, servicing the large Chinese population in the neighborhood. 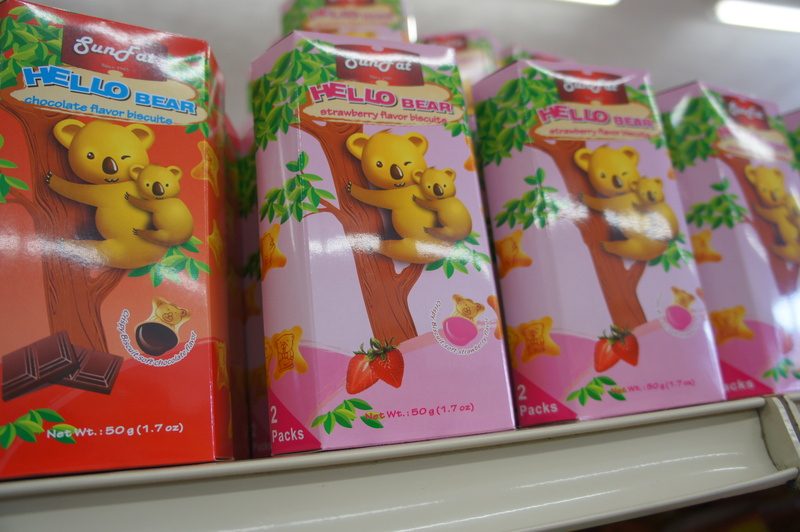 There’s refreshingly, little to no English spoken here. Even the signs are written in Chinese characters. So, you’ll be hard-pressed to find anyone to answer your questions. How do you say “blog” in Cantonese? Luckily, I know an excellent translator. Meet the lovely Lana. Here she is, posing with a package of bamboo leaves on one side, and the finished product on the other side, a perfectly wrapped joong. 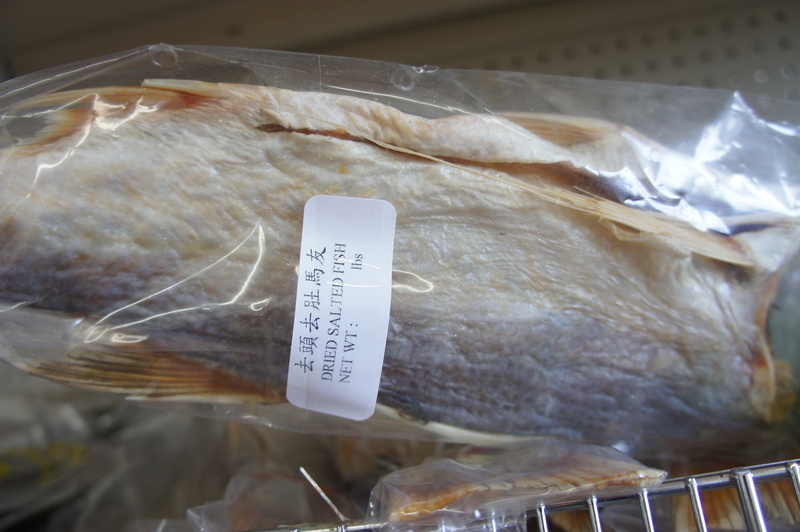 Inside is a Chinese version of the tamale, with sweet rice on the outside and meat on the inside. Lana knows how to cook up a storm. 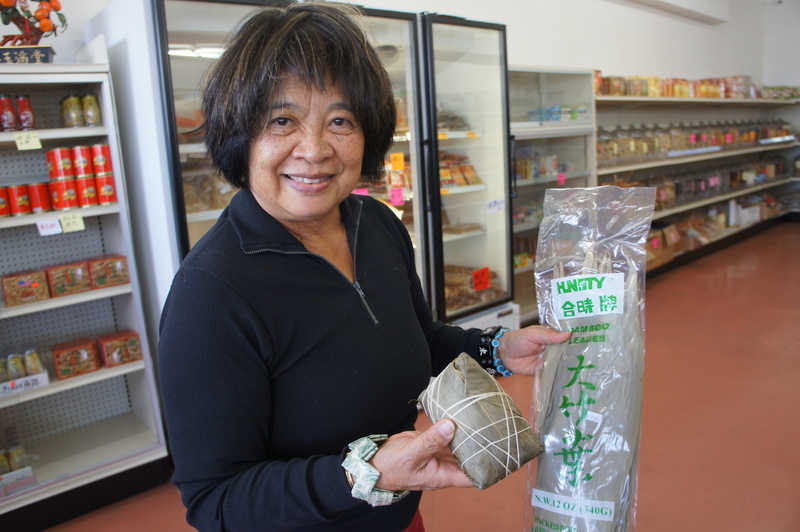 So, she helped guide me through the spongy, scaly, brittle, squishy and pungent array of ingredients that Freeport Asian Market had to offer. 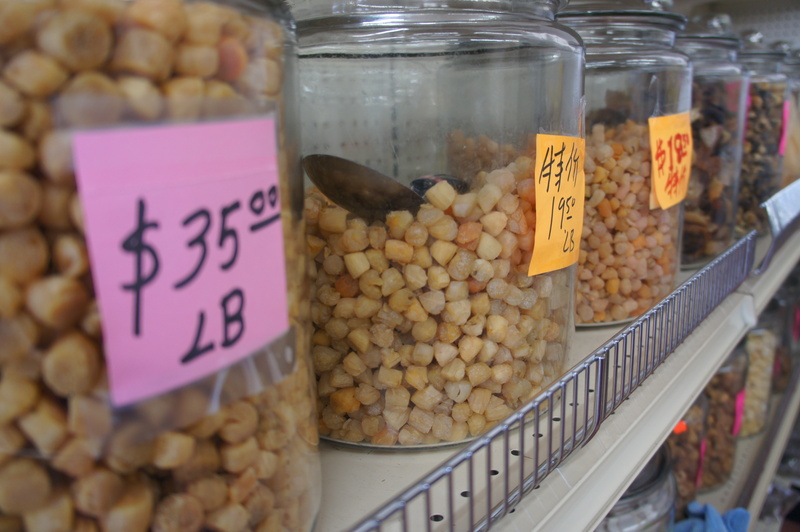 These dry ingredients stored in jars are mainly used to flavor soups. 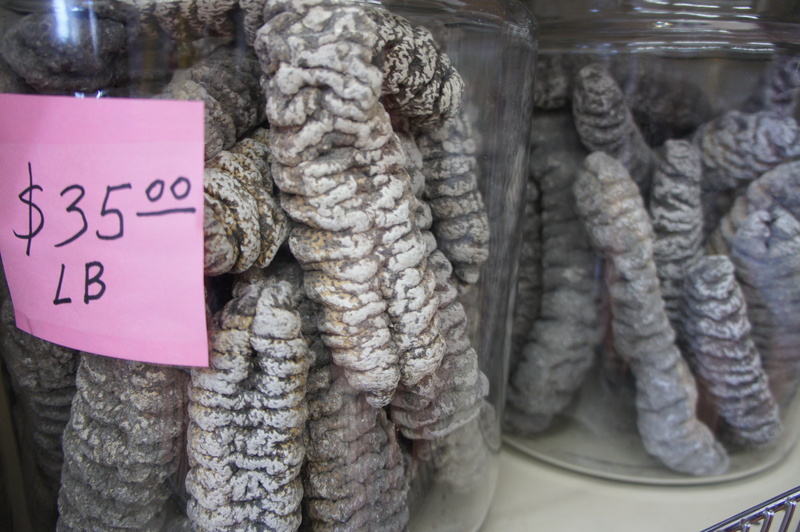 Dried sea cucumber anyone? 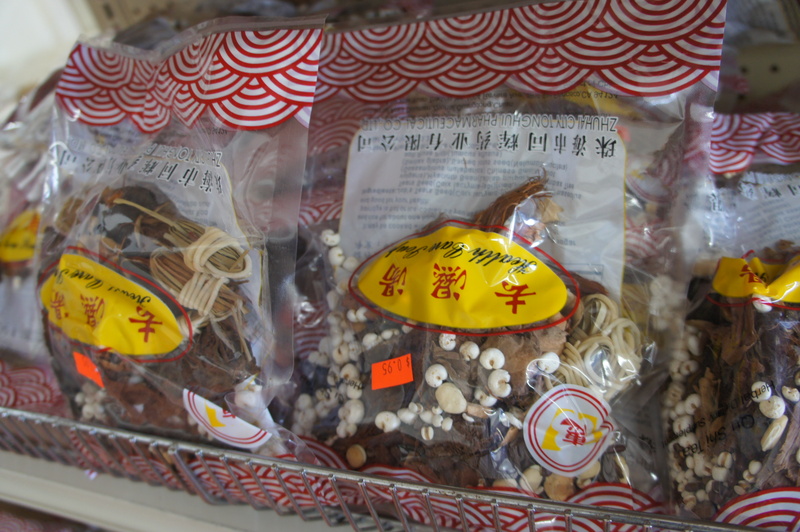 You’ll also find dried scallops, abalone, dried shrimp, salt-dried fish, and other Asian soup staples like fish stomach. 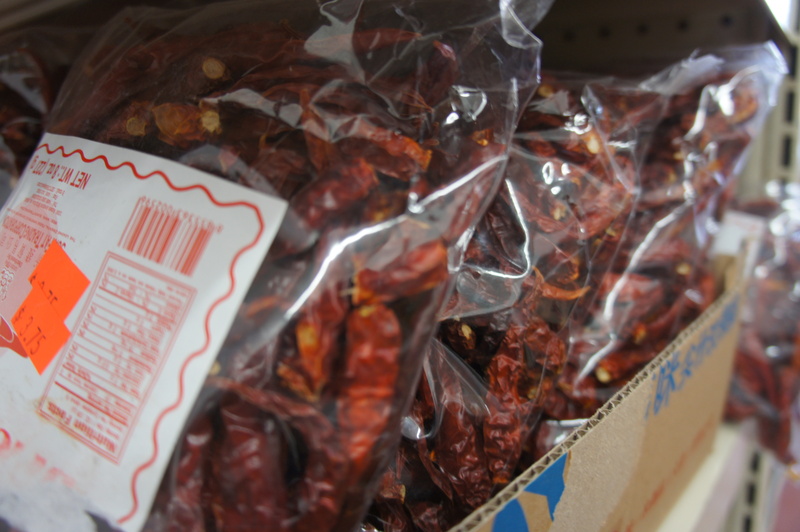 These are all dried goods that add a little ‘oomph’ and depth of flavor to your soups. If you’re running low on time, there are even pre-packaged soups featuring all the dry ingredients you’ll need in one bag. 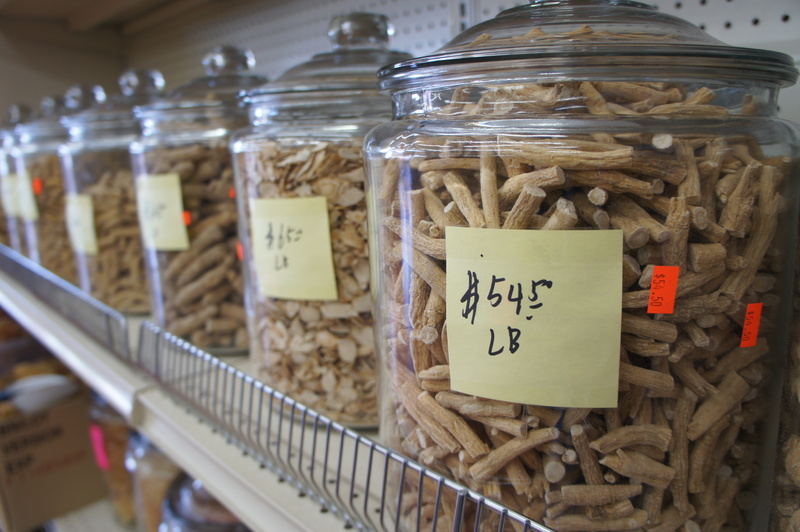 Don’t forget the dried mushrooms, orange peels or bean curd. All of these, sure to make your guests asking for seconds! Another thing to note about this market: the prices are a bargain. 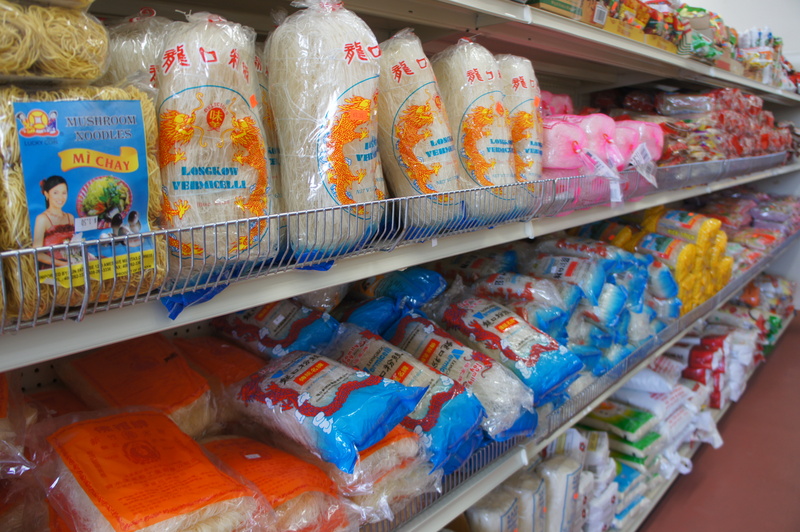 Everything is $0.25-$0.50 cheaper than what you’ll find at any other similar market. 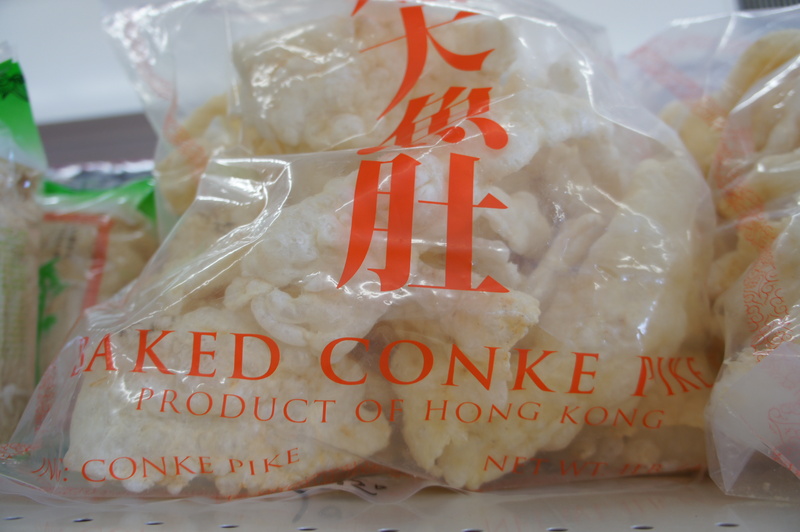 If you’re like me, and have no idea how to cook sea cucumber — head to the snack aisle. Sugar! 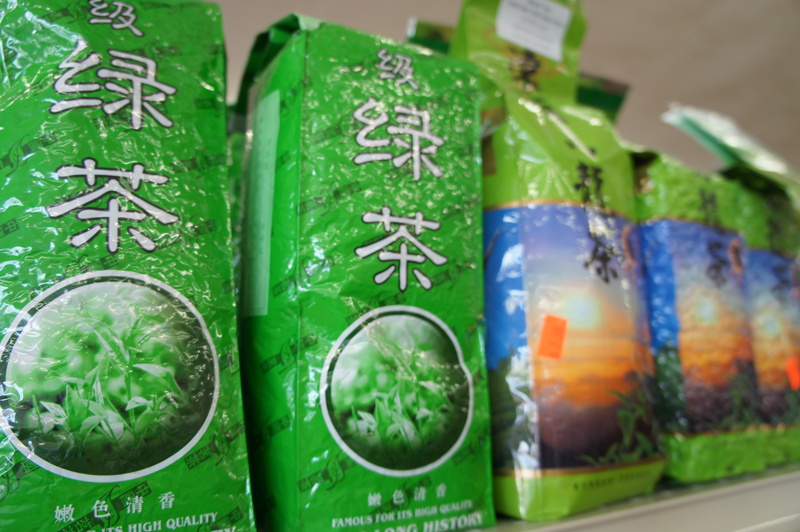 You’ll find all the familiar brands at a great price. 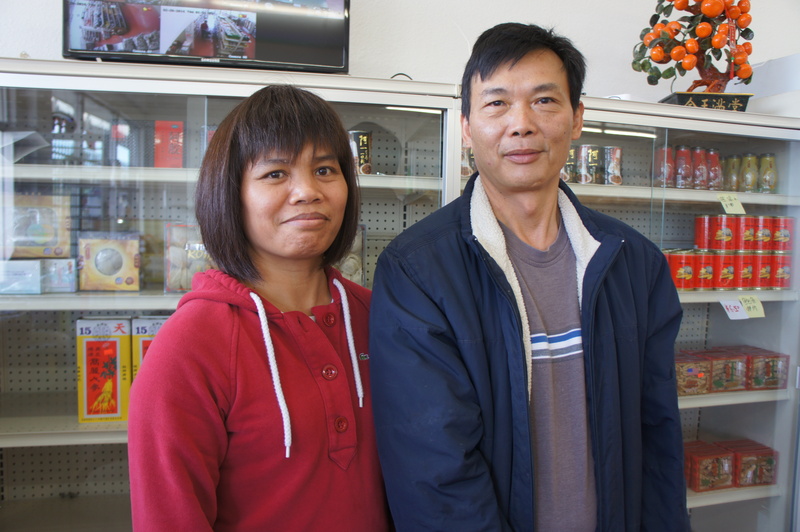 And even though the owners don’t speak English, they make up for it in smiles. In the end, that’s all you really need, right?